It works best to communicate with me using the above e-mails or cell phone. Do not use my LCC office phone or moodle's messages. Math 20 is for students who wish to learn about ratios, proportions, percents, measurement unit conversions, and geometry. These topics are from chapters 5, 6, 8, and 9 in our textbook. This course is designed to prepare students for future math courses. You will be required to learn and use specific techniques and processes that may be different from what you have used in the past, and develop your ability to communicate mathematically by showing all work in a neat and organized manner. You grade will be based on the fourteen items listed below. In addition, passing the class requires earning at least 65% on the final exam. Note: Moodle will tell a few students about the midterm tests for which they volunteered to be record-keeper. Do not confuse this with your grade! The first few class days are devoted to a fast-paced review of Arithmetic and Fractions (what is Math 10 material at LCC). The midterm rubric describes how our midterms have two portions. First you spend 40 minutes working on your own, rehearsing for the final exam. Then we all go to the computer room and finish the test in study groups, submitting answers using Moodle. All tests are closed book with no notes allowed. Calculators are allowed on all tests except for Midterm 1. Each chapter has its own homework assignment. Remember to complete enough odd-numbered textbook problems before advancing to these assignments. Each of these four chapters has two additional assignments whose links lead to rubrics that explain more. There are two more midterms. The only extra credit available is a four-part essay assignment described here. By LCC policy, missing all classes during the first week causes you to be dropped from the class. The deadline for a tuition refund is 11:59 pm on the Sunday at the end of the first week of the class. The last day for schedule changes during Winter term is Friday, March 3rd. The Winter term holidays are Martin Luther King Jr. Day (Monday, January 16th) and Presidents Day (Monday, February 20th). Our final happens on Wednesday during finals' week, starting at 10 o'clock (earlier than our normal class start time) and lasting for 110 minutes. Midterm dates are estimated. They may change slightly based on how fast we move through the math topics. Please note that LCC policy allows students with three or more finals on the same day to reschedule one of them. Sometimes final exams may be taken early because of medical or other concerns. Most work done at home does not have a fixed due date. It is strongly advised to turn in each chapter's homework and notes when that chapter's midterm happens. However, real life family and work obligations do happen, and not all students have computers at home. Unfortanely, every term has students who could have easily earned a higher overall grade by turning in or improving homework assignments that would only take a few hours. That is very sad! 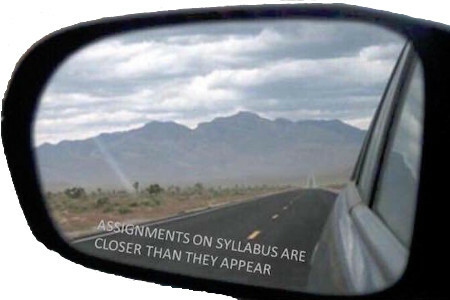 Please do not let your grade suffer due to procrastination or over-scheduling. The textbook is Basic Mathematics, 12th Edition, by Marvin L. Bittinger, which includes an "access code" to participate in MyLab. Together our class lectures, online notes, and textbook provide three different ways of understanding each math topic. The bookstore also sells an inexpensive student's solutions manual with step-by-step solutions to all odd problems. There is also an optional book: Math! A Four Letter Word, by Sembera and Hovis. Also bring paper, a pencil, a highlighter, and a notebook. Organized notes and carefully written homework are invaluable! You will need a calculator that can do exponents and has a π key. The resources section of this website has calculator suggestions. Odd-numbered textbook problems are not turned in. They allow prompt and enough work. Use them to budget your time and grow your brain. How much of the odd-numbered textbook problem homework you need depends upon your own math background. Each of the six online homework assignments has a recommended list of "best of their kind" odd-numbered textbook problems you can grade yourself as you work. If your math background is strong this recommended list might be needlessly long. If your math background is rusty or weak you might need to do additional homework to get enough practice. You normally do not turn in the odd-numbered textbook homework problems. You grade it yourself, as you go. You may turn in or show me this homework. That can still help you ask questions such as "Is there a better way of doing this problem?" or "When I mimicked an example problem, why did I do this step?" The most helpful time to do this is at the start of each class. After you feel confident with each topic, try the online homework for that chapter. This will double-check your mastery of the topic. Do this homework on paper first. Then use those online forms to process your work. The website will give you a code to send me. You may use e-mail or write it down. Besides registering for our class, please also register for MRC use if you plan to use the Math Resource Center at all, for drop-in tutoring, online tutoring, its quiet study room, computer room, or to check out the DVDs provided by our textbook publisher. This CRN costs nothing and has no credits. It is used by the college to get appropriate state funding for the MRC staff. During the Spring Term the MRC is open from 8:30 am to 3:20 pm on Mondays through Fridays, and also from 6:00 pm to 8:20 pm on Tuesday and Wednesday evenings. There is also tutoring available in room 177 until at least 5:00pm every day. To request assistance or accommodations related to disability, contact the Center for Accessible Resources at (541) 463-5150 (voice), 711 (TTY), accessibleresources@lanecc.edu (e-mail), or stop by Building 19, Room 265. Please be aware that any accessible tables and chairs in this room should remain available for authorized students who find that standard classroom seating is not usable. Many Math 20 students find the tutoring and other support offered by TRiO and TRiO STEM to be always positive and immensely helpful. LCC has a Women in Transition program that is three decades old. A similar Men in Transition program is being planned. The Veterans Services Department provides an environment specifically dedicated to Lane's veteran and active military students at Building 19, Room 233. It is not open to the general Lane student body. Use its PC/Mac computer lab and dedicated quiet study space, or get information for both veterans and active duty military about campus and community resources and events. When you are done with any LCC class, please use the class evaluation system in MyLane. At the end of the second week of the term I will share by e-mail a class list with everyone's first names and e-mails. This can be a big help for forming study groups. If you do not want your name and e-mail to be included, please let me know. You are welcome to use a cell phone calculator, except on the first midterm (when no calculators are allowed) and the final exam (when cell phone use is not allowed). You are welcome to refer to a tablet or laptop during lectures, but may not use these during tests. Please do not use any computer or phone for personal communications during class time. Food is not allowed in our classroom. Drinks are allowed in containers that try to be spill-proof. Children that are not disruptive may visit class on non-test days. I have toys in my office to keep small children occupied while helping a parent during office hours. Lecture and discussion are not formal. You may leave the room quietly without permission. When you have something to contribute, raising your hand might help me guide the flow of conversation and ensure all students have a chance to talk—or it might not be important to do. When speaking without raising your hand, please be polite and socially aware. I would love to have more links to online videos of our math topics. Each term I offer a challenge to the entire class: if you can share with me enough new online videos that fit our math topics, I will use those problems (with the numbers changed) on an alternate final exam. Follow instructor’s directions to exit the building or follow the exit signs. Walk, don’t run. Move away from the building. Fire: Pull alarm in hallway. Exit building and stay low if smoke impairs breathing and vision. Earthquake: Duck and cover under desk, away from windows until motion stops. Then evacuate. Building 16 has phones in the southeast and northwest second floor lobbies, outside rooms 202 and 226. Please familiarize yourself with their locations. Sign up for LaneAlert to receive e-mails or texts about weather closures! Log into mylane. In the Home tab, locate the box labeled Personal Information. Select the Lane Alert Emergency Notification link. Select which notifications you would like to receive. Scroll down to the very bottom of the page and click Save Changes. You can also listen to KLCC (FM 89.7) or KUGN (AM 590 or FM 97.9) for campus closure information. You can also check the websites of LCC and FlashAlert. If roads are icy or snowy, depart early and drive very carefully. Watch for black ice in shady locations on freezing temperature days. Please do not call LCC or KLCC. If absent, use the class website to read the assignments and be ready to quickly go over missed material. Anything new is hard. But the math topics in Math 20 are not themselves hard. All of them become okay, if not easy, with enough practice. Math 20 is about turning free time into grade points. If you put in the time, you can pass the class. Some students with jobs and kids are too busy to put in the time during a single term. There is no shame in needing two terms if you have many real-life responsibilities. It happens all the time. I have taught Math 20 or 25 for twenty-six terms. Among all those hundreds of students I have only had one who could not pass the class after putting in the required time. (She had her own circumstances.) If you have a weak math background it might take you a bit more time than if you have a strong background. But it is still just an amount of time. Study, practice, do homework, and do practice tests. You can pass. We start each class with homework questions. No questions are silly. You will never be the only student with that question. If you already knew all the answers, you would not be in Math 20. In Math 20 we are learning two very different things. We are learning a bunch of math topics. And we are learning study skills for how to be a good math student. The bad news is that you have a double curriculum this term. The good news is that once you learn those study skills you're done with that. In all the rest of your math classes you will only need to learn the math topics. You classmates there will look at you and say, "You're good at math!" What they mean is, "I am still doing a double curriculum but you're not. You are passing the class while doing half the work." Never be ashamed of how many mistakes you make. I assure you that by the time I earned my masters degree in mathematics I had made more math mistakes than you will make during your entire life. In fact, unless you have a family member who also pursues a graduate degree in mathematics, by the age of 21 I had made more math mistakes than your entire family will ever make in their entire lives. You will never catch up! Bwahahahahaha. During the group work tests it is common for every group to score 80% or more. Now, maybe a student fakes it and just nods his or her head in confusion while other group members do the work. But I seldom see that, except for a very few students with the one hardest problem on each test. Mostly I see everyone leaves the room having understood 80% of those problems. Think about what that means. Your brain can understand 80% or more! It did then. It can again. If it does not today, that just means you need more time to practice. Everyone can earn a B or better. Your brains can handle that. The math will fit, if you have time to make it stick. If your score on a midterm test is ever not as high as you would like, I would appreciate you talking to me after class or coming to office hours. I cannot require it. You're not in high school. But if you are ever not as successful as you want, I can probably help you brainstorm ways to become more efficient with your studying and more successful on your final exam.